1. 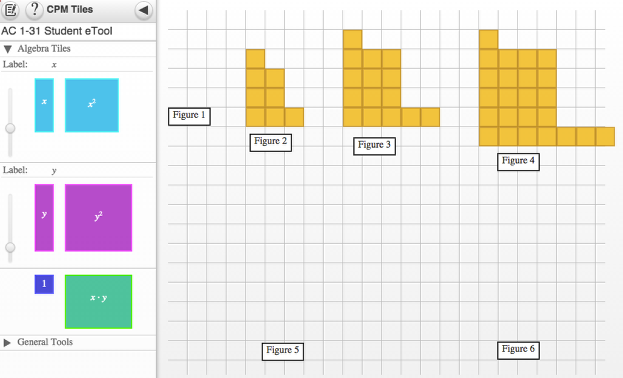 Drag the tiles from the tray to build Figures 1 and 5. 2. 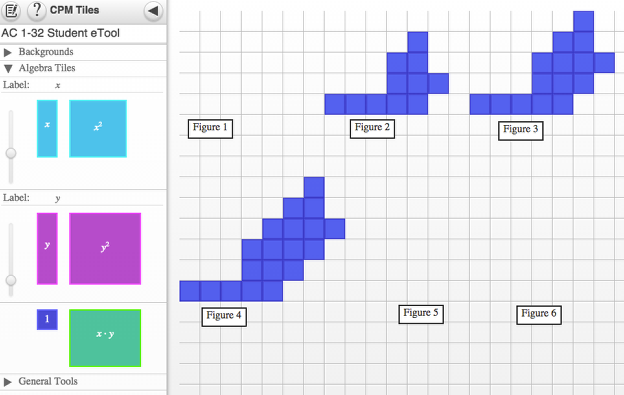 1-32 Student eTool: Drag tiles to create figures not shown.